It's great to be back at Chelsea again (despite the weather, the mud, the chaos! ), and for the third year in a row, realising our design for David Harber's sculpture garden. Here are a few reminders of what the first week on site looked like! This shows the stone and the site prepared ready for stone and gravel. The stone arrives on site at Chelsea (supplied by Stockscape). 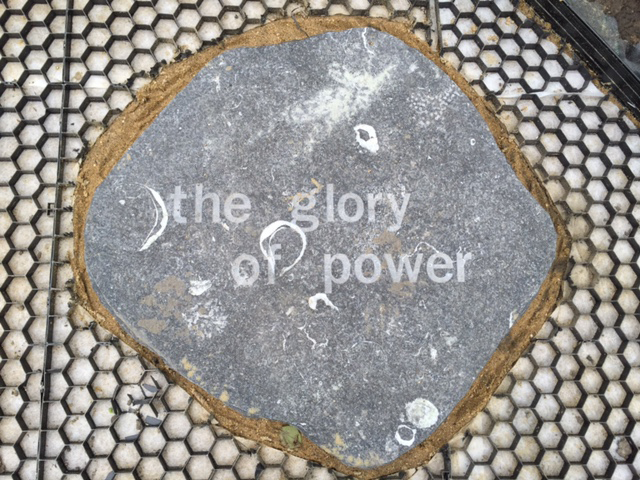 A large block has been sliced into several sections and then a poem is etched into the stone. 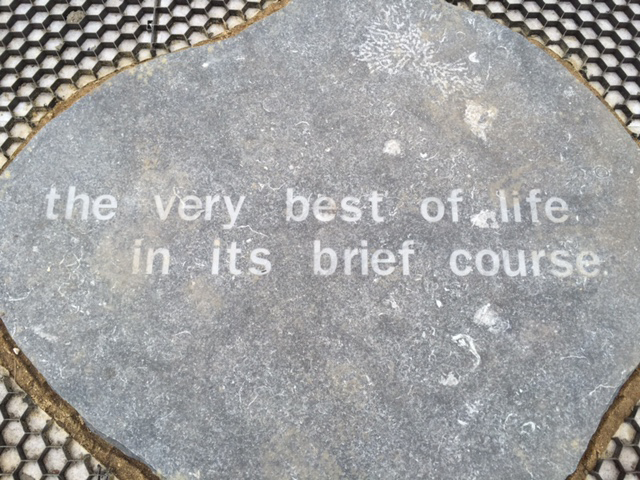 These will be set into the gravel going anti-clockwise around the site, leading people in reading the poem. The sculptures arrive on site - and it's chaos while they are installed! Beautiful Irish limestone from Stockscape in more detail - here you can see the poem etched into it. The David Harber signage is also looking good.